As a kid, there was no better feeling than leaving a birthday party with a stuffed goody bag after a long day of playing with friends. Therefore, for your child’s birthday party, no option should be left unexplored when it comes to favors. 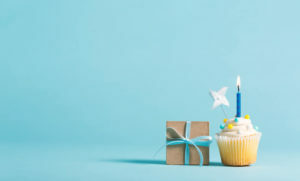 To help, we’ve compiled a few fun party favor ideas that guests will enjoy and remember for years to come. Even the youngest partiers in the bunch wouldn’t mind going home with a small gift of some sort. However, as a general rule of thumb, it’s best to stay away from anything that’s toxic, too sugary or comes in small pieces. Generally, try to abstain from anything you wouldn’t give your own child. With young guests like this, you don’t have to go too far out of your way to choose something. They will often be happy with and cherish anything they are given! 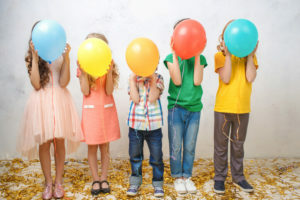 However, when it comes to party favor ideas for kids a little older, you have more free range. At this age, you can also start to incorporate the event’s theme into the party favor itself. 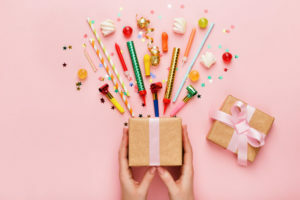 In fact, from beach towels and cookies to candles and sunglasses, custom gifts have become all the rage in recent years. But, if you don’t go with custom favors, you can always opt for tried-and-true options like temporary tattoos or candy-filled goody bags. Not to mention, at this age, many parties use arts and crafts creations that double as party favors. Last but not least, you may even need a few party favor ideas for teens. Since they’re a little older than the other kids, you can give them more impactful gifts. For instance, you would have no trouble trusting a teen with a favor like a goldfish or a succulent plant. However, you can also give out key chains, gift certificates, graphic t-shirts or even a set of photos from a fun photo booth. The choices are truly endless! Determining which party favor idea to use is all about you and your child’s personal preferences. Besides, you first have to decide whether or not to incorporate the theme!